Centroamerica TV is a US based channel in Spanish, which provides exclusive content for the Central American expatriates living in the United States. This channel takes pride on broadcasting the best entertainment content, including sports coverage from Costa Rica, Guatemala, Honduras, El Salvador, Panama, and Nicaragua, among other nations. A wide number of cable TV providers have Centroamerica TV on their grid. 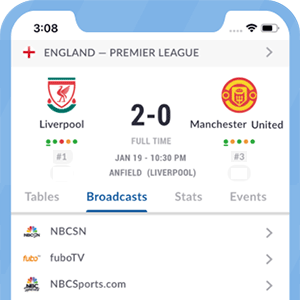 DirecTV, DISH Latino, RCN TV, Time Warner Cable, AT&T U-Verse, Xfinity, Atlantic broadband, Charter, fiOS, Bright house, Optimum, and other local cable companies allow viewers to keep track of what this channel broadcasts. This channel may offer a number of football games featuring Central American teams in their local leagues, such as the Costa Rican top flight or El Salvador’s Primera División. Added to that, this channel may offer games featuring the national teams of all the countries mentioned above. Centroamérica TV feeds some of its content to its YouTube channel, where some of the live content of the channel is streamed online. Here’s a list of channels to watch Centroamérica TV on some of the biggest cable and satellite TV providers in the U.S.
*Got itLive Soccer TV does not provide Centro America TV live streaming. The information provided on this page is simply Centro America TV soccer TV schedule.